The world looks different to everyone. But a visionary sees beyond the ordinary. You know that decadence lies in the details. That's why the UOB Visa Infinite Metal Card gives you access to a world of rewards, in a new iconic metal finish that’s a cut above the rest. Enjoy a high air miles earn rate, complimentary access to airport lounges worldwide, unlimited Singtel ReadyRoam during your travels, and exclusive privileges at prestigious hotels. Revel in unrivalled experiences and gain access to world-class concierge services anytime of the day. Indulge in dining privileges of gastronomic proportions at renowned restaurants, all curated for your refined palate. Tee off at the region’s best golf courses with complimentary weekday green fees, and earn rewards when you treat yourself to the finest pleasures in life. Upon paid annual fee of S$642 (inclusive of GST) and first transaction, receive UNI$12,500 two months after payment due date. Terms and conditions apply, please click here. Minimum annual income of S$150,000* is required. *Terms and conditions apply, Card application subject to Bank’s approval. For avoidance of doubt, the annual card membership fee of S$642 cannot be waived. Copyright © 2018 United Overseas Bank Limited Co. Reg. No. 193500026Z. All Rights Reserved. Sign up by 30 April 2019 at a yearly card membership fee of S$642 (inclusive of GST) and charge a minimum of S$3,000 to your new Visa Infinite Metal Card within the first month of card issuance to receive an additional 10,000 welcome miles (total of 35,000 miles). Limited to the first 1,000 qualified applicants. Terms and conditions apply, please click here for details. Sign up by 30 April 2019 at a yearly card membership of S$642 (inclusive of GST) and charge a minimum of S$8,000 to your new Visa Infinite Metal Card within the first month of card issuance to receive an additional 10,000 welcome miles (total of 35,000 miles). Limited to the first 1,500 qualified cardmembers. Terms and conditions apply, please click here for details. To apply for the UOB Visa Infinite Metal Card and register for the promotion, please SMS yesvim‹space›last 4 digits of existing UOB credit card‹space›NRIC number to 77862. ^Terms and conditions apply, please click here for details. Be rewarded with 25,000 miles with your annual membership/renewal fee payment of S$642 (inclusive of GST). From now till 30 April 2019, receive an additional 10,000 miles (total of up to 35,000 welcome miles)* when you sign up for the UOB Visa Infinite Metal Card. For New-to-Bank applicants, simply charge a minimum of S$3,000 and for existing UOB principal cardholders, charge a minimum of S$8,000 to your new Visa Infinite Metal Card within the first month of card issuance. Terms and conditions apply. The UOB Visa Infinite Metal Card comes with an annual membership fee of S$642 (inclusive of GST), which includes a package of UNI$12,500 (equivalent to 25,000 miles at UNI$1 = 2 air miles redemption rate, which the Cardmember needs to redeem himself/herself via UOB Rewards Programme. Terms and conditions apply, please visit uob.com.sg/rewards for details.). Upon your UOB Visa Infinite Metal Card anniversary date, a renewal fee of S$642 (inclusive of GST) will be charged and the UNI$12,500 will be credited to you two (2) months after your payment due date. This is only upon receipt of your full membership fee payment. Advance crediting of UNI$ is not permissible. *Terms and conditions apply for abovementioned promotion. Please click here for New-to-Bank applicants and here for existing UOB principal cardholders. Terms and conditions apply for abovementioned benefits, please click here for details. 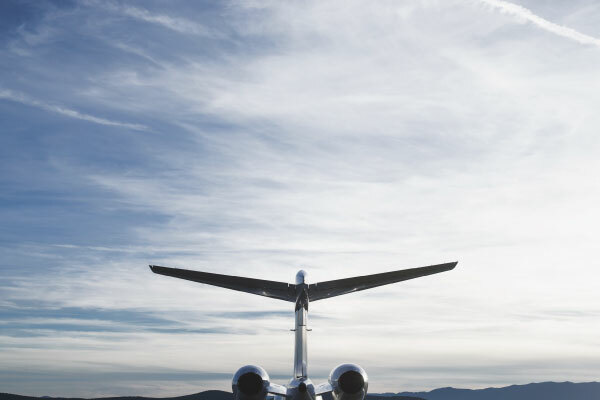 Enjoy a unique and seamless 'total airport experience' that includes access to airport lounges, limousine services and more. The principal UOB Visa Infinite Metal Cardmember must enroll and register for a DragonPass digital membership account by downloading the “Airport Companion” application either from Apple Store or Google Play Store (“DragonPass Membership”). 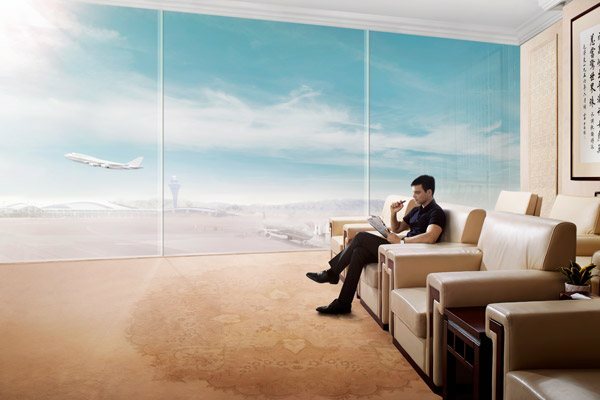 He/she is then entitled to four (4) free airport lounge visits within each DragonPass Membership year to any of the participating airport lounges worldwide under the DragonPass Airport Lounge network. The Principal Cardmember can choose to bring along any accompanying guest(s) to utilise the free airport lounge visit(s), provided always that the guest is a travelling companion. Every accompanying guest visit will be considered as one (1) utilisation of the free airport lounge visits accorded with the exception of accompanying child/children under the age of two. For full set of terms and conditions, please click here. ^Valid till 31 May 2019. Terms and conditions apply, please refer in-app or visit visa.com.sg/infinite for details. Connect instantly and share your travel stories on the go without the hassle of finding a local SIM card or renting connectivity devices. Learn more here. The Principal Cardmembers will receive a cash rebate (“ReadyRoam Rebate”) from UOB for the nett amount cost of the Singtel ReadyRoam 1GB 9, 18 or 56 Destinations Plan (“Singtel ReadyRoam”) after they fulfil the following conditions (“Eligible Cardmembers”): (i) Subscribes to any Singtel postpaid mobile plan (“Mobile Plan”) under his/her NRIC for the same mobile number registered under UOB’s records (“Registered UOB-Singtel Mobile”); (ii) Charges his/her Mobile Plan monthly bill to his/her Card on a recurring payment basis; (iii) Activates the Singtel ReadyRoam; and (iv) Travels to any of the following destinations during the 30-day duration of each Singtel ReadyRoam: Australia, Austria, Bangladesh, Belgium, Brunei, Cambodia, Canada, China, Croatia, Czech Republic, Denmark, Egypt, Fiji, Finland, France, Germany, Ghana, Greece, Hong Kong, Hungary, India, Indonesia, Ireland, Israel, Italy, Japan, Kenya, Laos, Macau, Malaysia, Mexico, Mongolia, Myanmar, Netherlands, New Zealand, Nigeria, Norway, Pakistan, Philippines, Poland, Portugal, Qatar, Russia, Saudi Arabia, South Korea, Spain, Sri Lanka, Sweden, Switzerland, Taiwan, Thailand, Turkey, UAE, UK, USA and Vietnam within the same month of Eligible ST ReadyRoam activation. 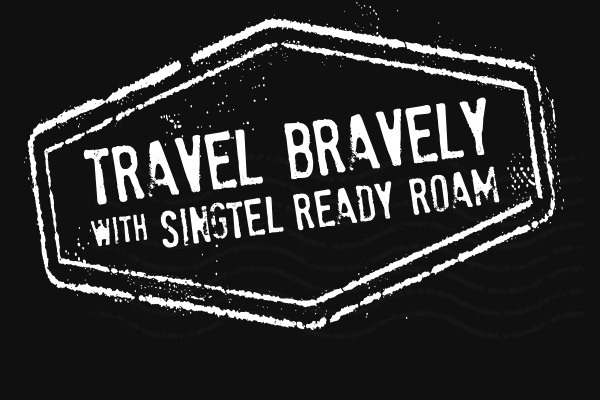 The Singtel ReadyRoam duration is 30 days upon activation, and can only be activated once every 30 days. There is no cap on the number of ReadyRoam Rebates an Eligible Cardmember can receive for Singtel ReadyRoam activations in a calendar year (i.e. 12 times a year). Each ReadyRoam Rebate will be credited into the Eligible Cardmember’s Card account within three (3) months of each Singtel ReadyRoam activation. If you exceed the 1GB of data provided for each Singtel ReadyRoam during the 30-day validity period, you will be liable for additional data roaming charges incurred after the first 1GB of data under Singtel ReadyRoam as may be automatically provided by Singtel. For full set of terms and conditions, please click here. Have your personal travel needs taken care of with a value added concierge service from the bank. • Complimentary upgrade to First Class on selected airline partners. *Packages refer to hotels and land tours only, not inclusive of flights. The minimum spend of S$5,000 excludes taxes. Complimentary one-way car transfer service will be provided in Singapore by BMW or its equivalent, point-to-point pick up from a residential address in Singapore excluding Sentosa entry fee, odd hour and excess luggage surcharges. Maximum 3 passengers allowed per vehicle, depending on the number of luggages. 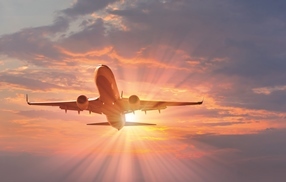 Transfer services will be arranged based on flight bookings made. Strictly no changes allowed. Cardmember(s) may not be the traveller(s). All the aforementioned privileges are not transferable, exchangeable for cash or credit and cannot be used in conjunction with any other discounts, privileges or promotions and stay must be completed by 31 December 2019 (both dates inclusive). All bookings must be made through UOB Travel Concierge and paid with your UOB Visa Infinite Metal Card. For full terms and conditions, please visit uobtravel.com/concierge. 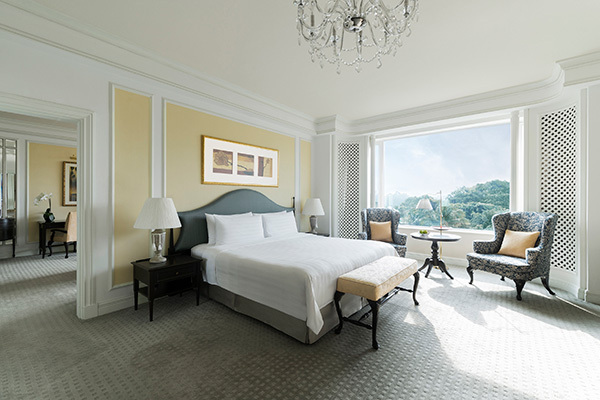 Enjoy unsurpassed value at prestigious properties such as Peninsula, Park Hyatt, Shangri-La and more around the world. For all enquiries and reservations, please visit visaluxuryhotels.com. Booking and stay must be completed by 31 December 2019. Offer is valid at participating properties and privileges are subject to availability. All payment must be with UOB Visa Infinite Metal Card. Best Available Rate applicable. Not applicable on discounted rates or combined with other offer at time of enquiry/booking. One daily breakfast per person during stay. Exclude all applicable taxes, services, gratuities and charges. Reservation is subject to availability at time of confirmation. Visa and participating properties reserve the right to vary the terms and conditions of this offer. For updated list of participating properties, please visit visaluxuryhotels.com or call UOB Visa Infinite Concierge for details. To redeem these privileges, book online now at hertzasia.com/visa. Book online now at autoeurope.com/visa. Hertz: Valid for bookings and vehicle pick-ups from 1 January 2019 to 31 December 2019 for self-drive rentals on qualifying Affordable Rates (leisure retail rates) at participating locations in Australia, New Zealand, USA, Canada, Europe and Asia. Enjoy addition of Free One Car Class Upgrade or One Complimentary Rental Day to the existing benefits of 10% off car rentals. Reservation must be made at least 24 hours prior departure (48 hours for rentals in Asia). Minimum rental days apply. Limited to one offer per rental. Quote applicable CDP# and PC# at time of reservation. Full terms and conditions apply, and can be found at www.hertzasia.com/visa. Auto Europe: Offer not valid on domestic rentals (where country of residence is the same as country of rental). All bookings must be completed 24 hours in advance of arrival. For full terms and conditions, please visit autoeurope.com/visa. 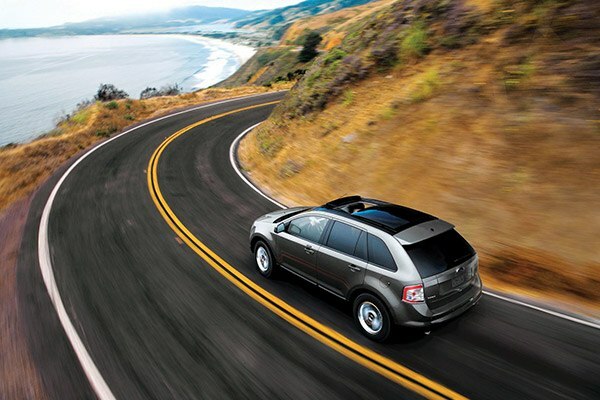 Enjoy complete peace of mind during your explorations. *Note: The limit is S$2,000 per single article item/pair or set, up to S$10,000 per purchase and Excess of S$200 for each and every loss. Terms and conditions apply for all abovementioned benefits, please visit uob.com.sg/VI-insurance for details. 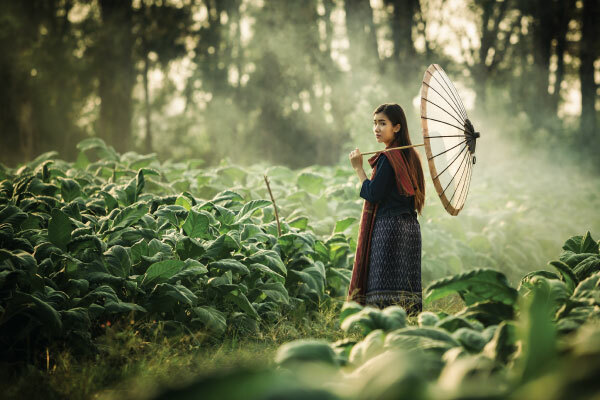 Fuel your wanderlust by seeing the world through the eyes of a local. 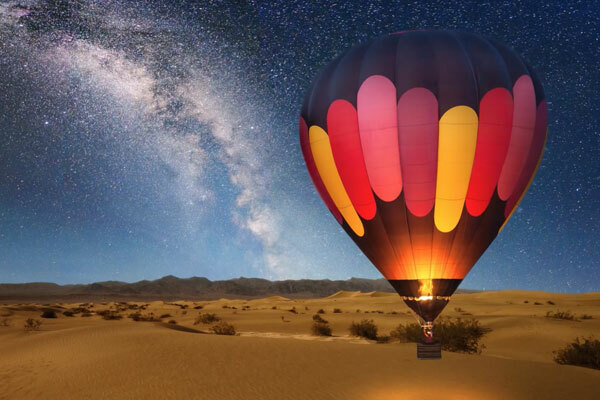 Get inspired by our collection of travel content and deals. Plan and share your itinerary, compare flight and hotel prices, then book your next adventure right away. For all enquiries and reservations, please call your UOB Visa Infinite Concierge at 1800 253 2288. Parkway Hospitals Singapore manages Gleneagles Hospital, Mount Elizabeth Hospital, Mount Elizabeth Novena Hospital and Parkway East Hospital. Perform all your banking needs, and enjoy priority queues and preferential services at our UOB Group branches island-wide. 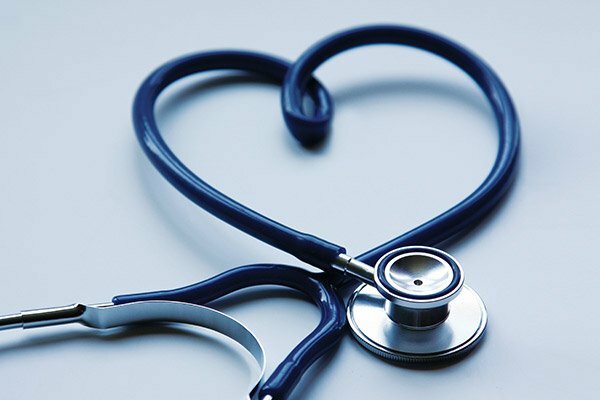 Enjoy holistic assistance and protection to safeguard your well-being around the clock. Available if you are travelling overseas for trips not exceeding 60 consecutive days each time. *Note: Overall total limit of S$50,000 per assistance per event or per year for each Cardmember, whichever comes first. For all reservations, please call your UOB Visa Infinite Concierge at 1800 253 2288. Above mentioned benefits valid till 31 March 2019. Dependants aged 12 years and below may only dine in the private dining rooms during lunch whilst accompanied by a Cardmember. 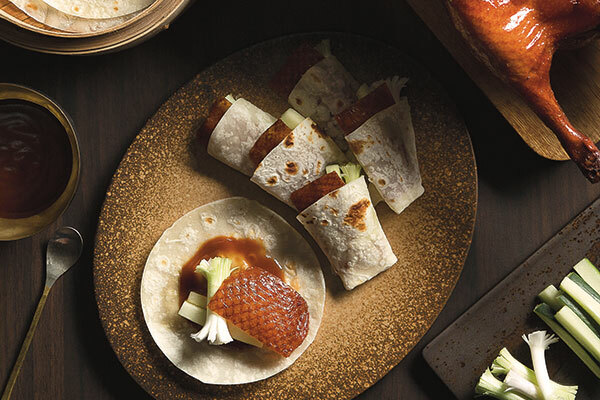 In the evenings, Dependants aged 6 years and below, accompanied by a Cardmember, are welcome to only dine in the private dining rooms at Atlantic/Ba Xian. Dining reservations must be made in advance. Complimentary valet parking is valid to Cardmembers who have made dining reservation at Tower Club Singapore and it is valid till 31 March 2019 from Monday to Saturday from 6.30pm to 11.00pm. Complimentary valet parking is not applicable to Cardmember’s guest(s). A cancellation fee will be levied for booking cancellation made less than 3 working days prior to dining reservation. Dress code is business attire. Subject to 10% surcharge, 10% service charge and prevailing GST. Club rules and bylaws apply. The management reserves the right to change the dining promotion where it deems fit. Abovementioned benefits valid till 31 March 2019. Complimentary parking is valid for Cardmembers only and it is not applicable to Cardmember’s guest(s). Complimentary parking (before 6.00pm from Monday to Friday) is valid till 31 March 2019, and for first 2 hours only, any excess charges will be borne by the vehicle owners. Entries after 6.00pm from Monday to Friday are charged on per entry basis which the club will issue complimentary parking coupons to Cardmembers. Complimentary parking is not applicable on Saturdays. Dress code is business attire or smart casual (slippers, flip flops, tee shirts, and Bermuda shorts are not allowed). Please note that children aged 12 and below have restricted access to the club, with exception on weekends only. Subject to 10% surcharge and prevailing GST. Other Club’s rules and regulations apply. The management reserves the right to change the dining promotion where it deems fit. The Club is closed on Sundays and Public Holidays. Discover a discreet haven few get to experience. Above mentioned benefits valid till 30 November 2019. Limited to one visit per Card per day. Refreshments limited to 2 sets per Card per day. 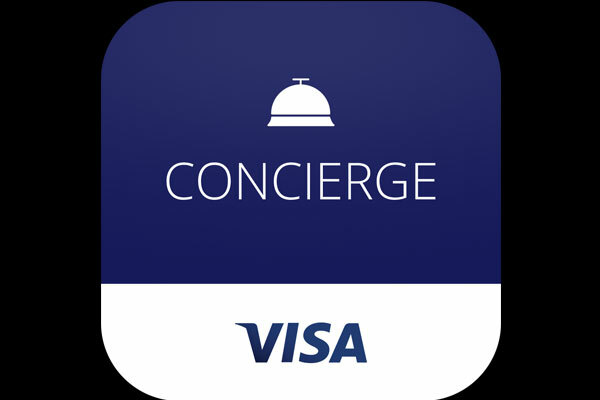 Get access to a host of privileges and offers using the Visa Concierge app, now available for iOS and Android devices. Enjoy live chat functionality, access to personalized recommendations as well as 24/7 support for your travel and lifestyle needs. 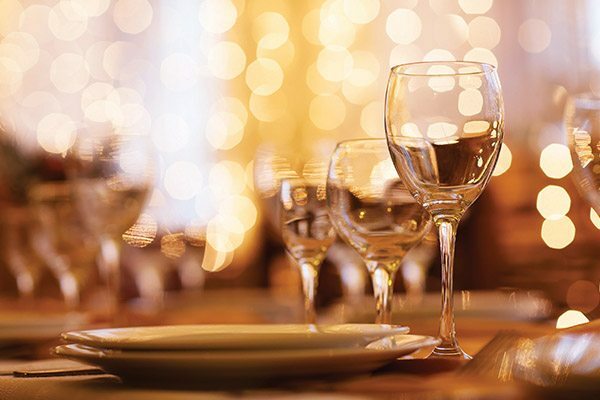 The private dining and lifestyle club of IHG® hotels in Singapore accords you with VIP hospitality, services and perks. Enjoy a complimentary Gourmet Collection membership in the 1st year. 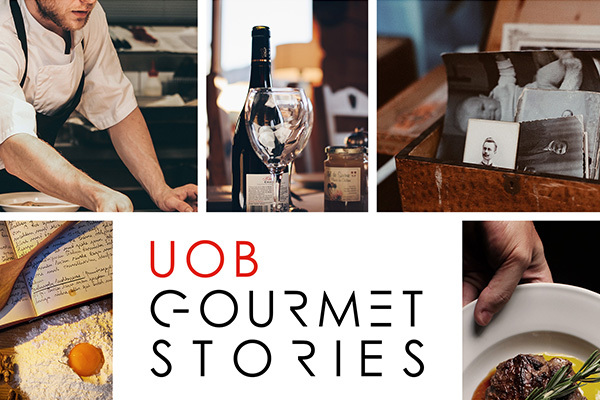 The Gourmet Collection membership (“GC Membership”) which is worth S$388 per annum (“GC Membership Fee”), at time of publishing (inclusive of GST) is complimentary to the principal UOB Visa Infinite Metal Cardmember. The principal Cardmember will receive his/her GC Membership within two (2) months from the issuance of the Card. Complimentary GC Membership is valid for one (1) year from the date of GC Membership issuance. The principal Cardmember will receive the GC Membership kit mailed to his/her mailing address in UOB record, which includes the GC Membership card. 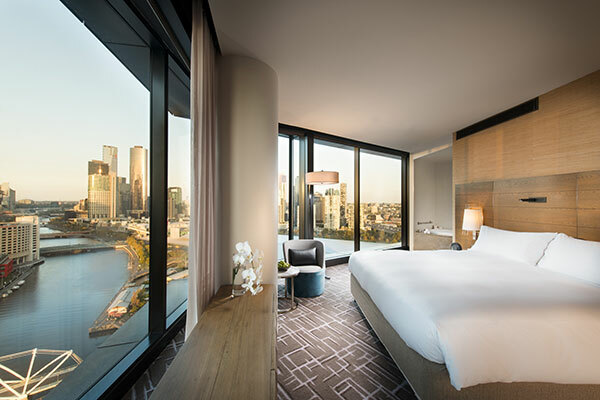 After the first GC Membership year, with a minimum spend of S$1,000 at the participating InterContinental Group (“IHG”) hotels, the subsequent year’s membership will be waived, so on and so forth. The GC Membership card must be presented at all times for discounts to be accorded. All reservations and enquiries are to be made through 800 186 1120 or the UOB Visa Infinite Concierge at 1800 253 228 (local) or +65 253 2288 (overseas). All payment must be charged to the Card. The voucher for the two (2) complimentary glasses of house wine may be redeemed on the first visit to any of the participating restaurants and bars. 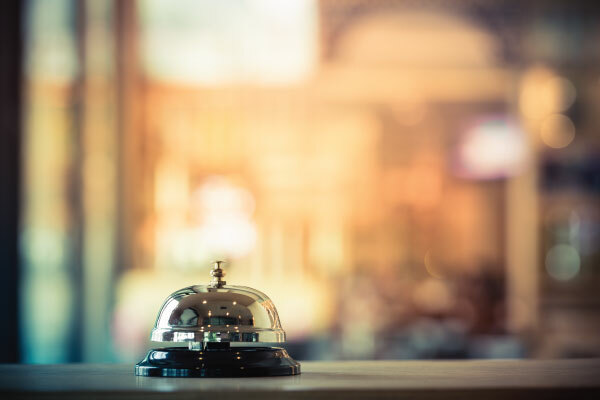 Principal Cardmembers must state that they wish to utilize the voucher at the time of reservation, and the usage of the certificate is subject to all terms and conditions as stipulated by each of the hotels including but not limited to black-out periods and dates. For full set of terms and conditions, please click here. The most sumptuous for you and your guests. For reservations, please call your UOB Visa Infinite Concierge at 1800 253 2288. 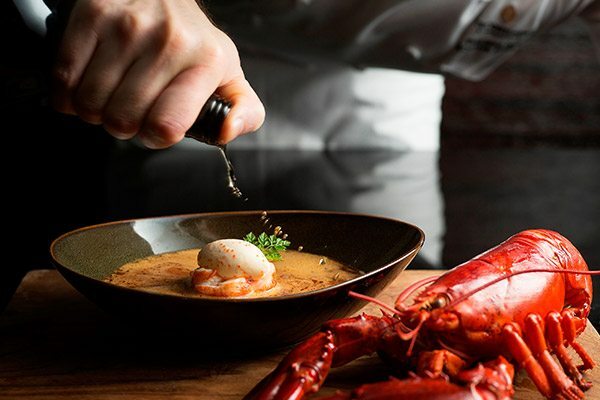 1Cardmembers will be entitled to lunch discounts on weekdays and Saturdays at participating restaurants in Grand Hyatt Singapore with a minimum of two (2) adult diners and two (2) main courses ordered. Valid for lunch buffet from Monday – Friday at StraitsKitchen. Valid for lunch (à la carte menu) at Oasis from Monday - Friday. Valid for lunch (à la carte menu and buffet) at Pete's Place from Monday - Saturday. Limited to maximum of ten (10) persons per table, per booking. No splitting of bill is allowed. 2Cardmembers will be entitled to lunch (à la carte and set menu) discounts from Monday - Saturday at mezza9 in Grand Hyatt Singapore with a minimum of two (2) adult diners and two (2) main courses ordered. Valid for dine–in only and restricted to one (1) Card per table. 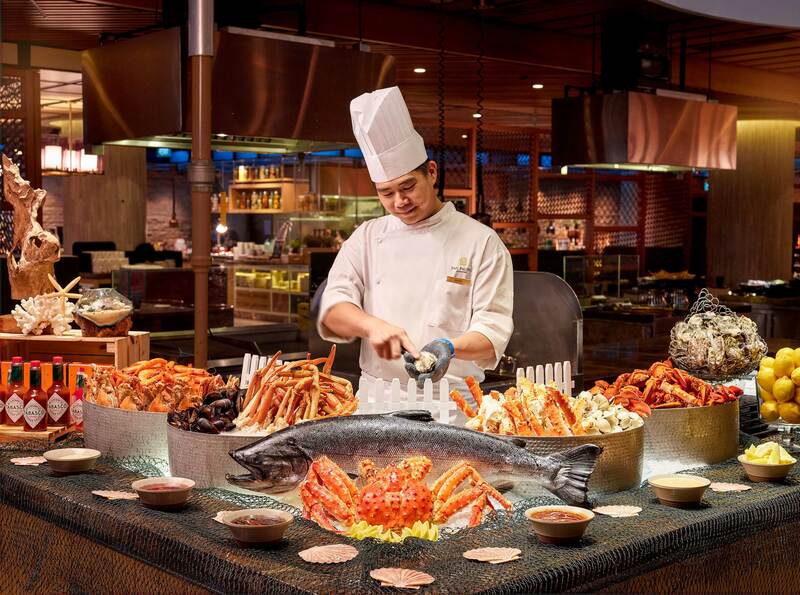 Discount is not valid in conjunction with other discounts, promotions or privilege cards and special menus as determined by Grand Hyatt Singapore. Discount is not valid on the eves of and on Public Holidays. Discount is applicable on food only in the participating restaurants. Discount is not applicable for beverages, alcohol, tobacco and child pricing in the participating restaurants. 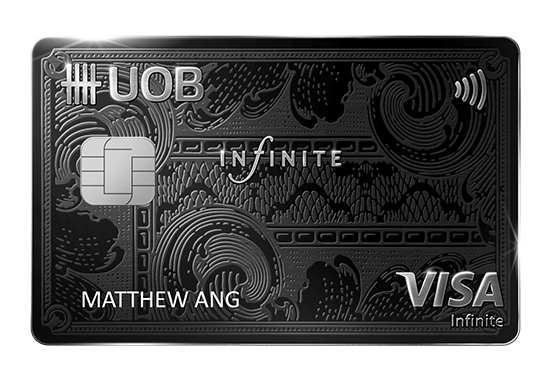 Payment must be made with the UOB Visa Infinite Metal Card. 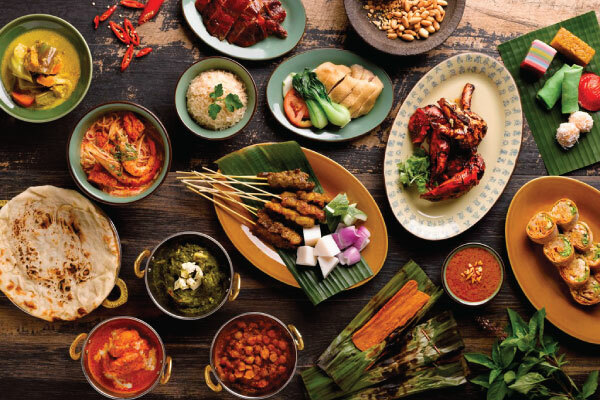 Go on a gastronomical journey and save 30% on your total dining bill at selected restaurants in Pan Pacific and PARKROYAL hotels and resorts. Valid till 30 September 2019 for Singapore offers. All other offers are valid till to 29 February 2020. Please click here for full details. Payment must be made using a UOB Visa Infinite Metal Card. Offer cannot be combined with any other promotions, offers or vouchers. Offer not valid for set menus or promotional menus. Offer not valid during Eve or Day of Public Holiday (including Mother’s Day and Father’s Day). Maximum group size of 15 people. Prior reservation is highly recommended and subject to availability. Valid for dine-in only, and not valid for takeaway items unless otherwise stated. All information is correct at the time of publication. In the event of any inconsistency between the English and non-English language versions, the English language version shall prevail. UOB Cards Privileges General Terms and Conditions apply. Pan Pacific Hotels Group and UOB reserves the right to change the terms and conditions at any time without prior notice. Specially curated for your birthday, be allured with the finest that nature has to offer, elevate your senses with traditional Tokyo (Edo) style sushi underpinned by authenticity, freshness and flavours. 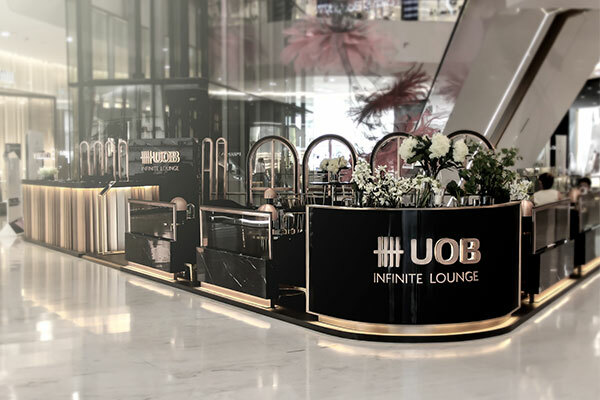 For reservations, please call UOB Visa Infinite Concierge at 1800 253 2288 and quote “UOB Visa Infinite Metal Birthday Privilege”. Dinner Omakase starts from @S$350++ per person and Lunch Omakase starts from @S$250++ per person. The birthday privilege (“Privilege”) is valid for three (3) months, inclusive of the birthday month (“Programme Period”). For reservations, please book two (2) working days in advance with UOB Visa Infinite Concierge and quote “UOB Visa Infinite Metal Birthday Privilege”. Not valid on eve of and on public holidays, Valentine's Day, festive occasions, unless otherwise stated. Not valid in conjunction with other discounts, promotions, vouchers or special menus. Payment must be made with a UOB Visa Infinite Metal Card. Be alluded with its artistic setting and a feast of exquisite Cantonese flavours, served with sincerity and heart. Valid from 1 April 2019 – 31 December 2019. 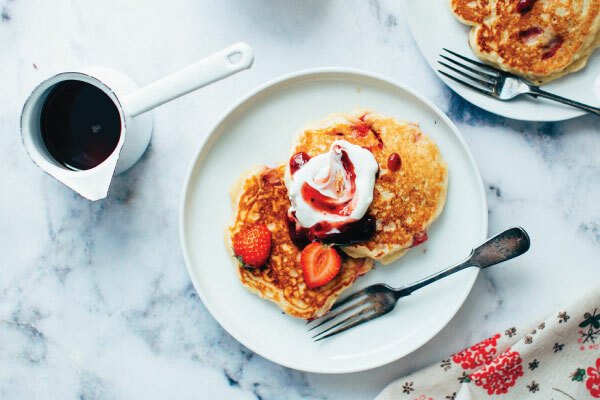 Cardmember is entitled to 20% off total food bill and complimentary longevity buns within the calendar month of his/her birthday, with no minimum spend required. Subject to prevailing government tax and/or service charges, where applicable. To enjoy the birthday promotion, the cardmember must dine at Yan. The cardmember must notify the UOB Visa Infinite Concierge or Yan on birthday reservation booking. 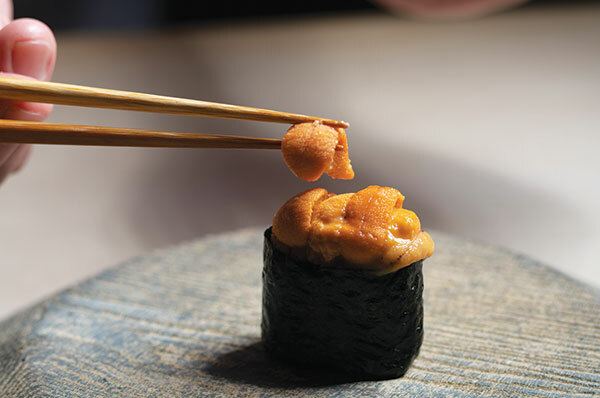 The complimentary longevity buns are to be consumed during the meal at Yan. Birthday promotion redemption is only valid during carmember's birthday month. 20% off promotion is not applicable to promotional items (set lunches, prix fixe or special occasion menus served on Eve of and on Public Holidays and other blackout dates apply). Promotion cannot be used in conjunction with other promotions/ programmes, special events or private bookings.’ Reservation must be made at least 48 hours in advance, subject to availability. Not exchangeable for cash/credit. Yan reserves the right to alter any terms & conditions without any prior notice. All payments must be made with the UOB Visa Infinite Metal Card. Dining privileges vary at each restaurant. Kindly reach out to your UOB Visa Infinite Concierge for details. An entree must be purchased to receive your dining privileges. A minimum spend per party may be required where indicated. Booking is strictly subject to availability. An advance booking of at least 7 working days is required unless otherwise advised and subject to availability. Cancellation fee is applicable for cancellation less than 48 hours advanced notice. Respective restaurants terms and conditions apply. Participating restaurants and dining privileges are subject to change. Payment must be made with UOB Visa Infinite Metal Card. The participating restaurants will use best efforts to ensure the offers are provided as described, but Cardmembers shall not make any claim or seek compensation against UOB or participating restaurants, even in the event that any of the offers are not provided or provided as described (whether or not such non provision is due to fault, negligence on the part of UOB or the participating restaurants). UOB and the participating restaurants shall not be liable in any manner whatsoever or howsoever for any loss or damage or claims that may arise out of (a) usage or attempted usage of any of the offers, or of any services provided by the restaurants, or (b) any refusal or failure on the part of restaurants to provide or honour any of the offers, or benefits or privileges given under the offers, for any reason whatsoever. UOB and the participating restaurants reserve the absolute right to withdraw and/or alter any of the terms and conditions of any of the offers at any time without giving any notice. Dining privileges cannot be used in conjunction with other offers.  Number of Michelin stars indicated here to each restaurant is accurate as of date of print and may be subjected to changes. Enjoy exclusively curated dining experiences from 6 restaurants every first Wednesday to Saturday of each month, and discover the stories that inspired them. Book now. • Exclusively for you, enjoy the above at 1-for-1. Limited 1-for-1 tickets available, strictly while stocks last. Purchase your tickets at thediningadvisor.com/gourmet-stories and make payment with your UOB Visa Infinite Metal Card. Above pricing excludes S$3 booking fee per ticket. Price is subject to 7% GST, 10% Service Charge and S$3 booking fee per ticket. Payment must be made with UOB Visa Infinite Metal Card, quoting the first 9-digits of the card number at checkout for the limited 1-for-1 tickets. All bookings are on a first-come-first-serve basis. 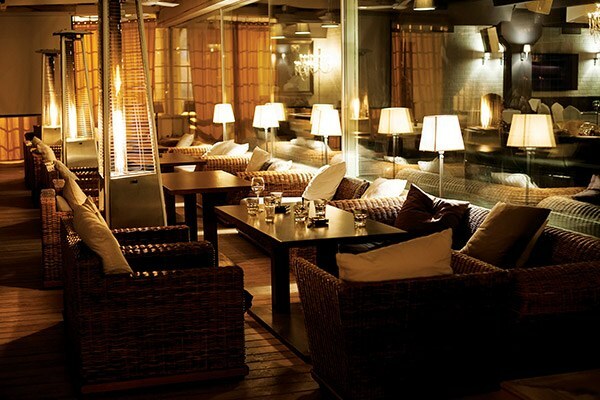 For details and full set of terms and conditions, visit thediningadvisor.com/gourmet-stories. Valid till 8 June 2019. Terms and conditions apply, please visit bit.ly/uobgs for details. For all golf bookings, please call your UOB Visa Infinite Concierge at 1800 253 2288. 1. All offers are subject to change and tee-time availability. All bookings must be made at least 5 calendar days in advance including date of booking but excludes tee-off day. Cardmembers cannot book more than 14 days in advance. A status update on the golf booking request will be sent to Cardmembers within 2 business days. Cardmembers cannot book for the next golf game until the current booked game has been played. Cardmembers and guests have to pay for buggy, caddie, turfmate, locker fee, insurance, taxes and all other ancillary and miscellaneous charges at normal published rates where applicable, subject to the participating clubs terms and conditions, and the applicable charges will be charged to their UOB Visa Infinite Metal Card. Cancellation must be made at least 3 complete working days in advance prior to the confirmed tee-off date. Cancellation made less than 3 complete working days, late arrivals or no-show shall be subjected to 100% of published golf rates stipulated by the participating golf clubs and will be charged to the UOB Visa Infinite Metal Card. An Administrative Fee of USD10 plus 7% GST or as applicable will be charged for amendments made to confirmed bookings. 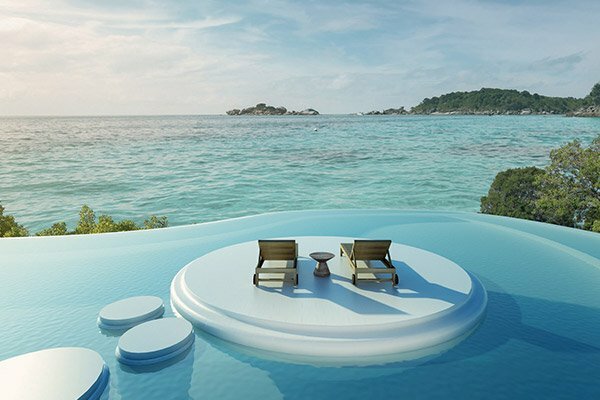 All bookings and cancellations must be done via UOB Visa Infinite Concierge. A minimum of 1 paying guest per Principal Cardmember is required. 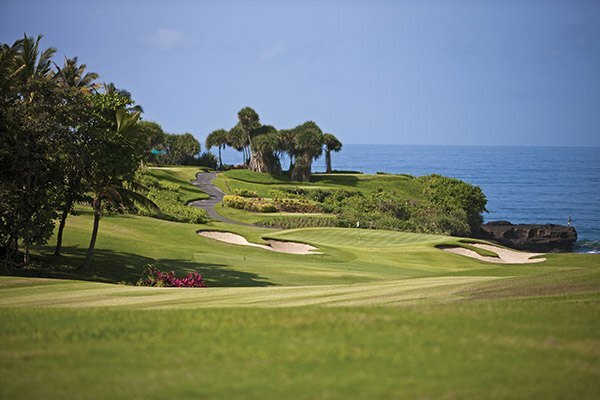 Golf bookings are subjected to availability and Cardmembers are entitled to a maximum of 10 bookings allowed per week in Sentosa Golf Club. For full terms and conditions, visit visa.com.sg/infinite. 2. All offers are subject to change and tee-time availability. Discount may vary from club to club. Privilege is valid for Principal Cardmembers and on weekdays (excluding Public Holidays) only at participating golf clubs. Advance booking period: minimum 4 days for weekdays and 7 days for weekends. Minimum booking of 2 golfers per flight for weekdays and 3 golfers per flight for weekends will be required (minimum booking of 4 golfers per flight is required for golf clubs in Korea on weekdays). Golf clubs may impose restriction on weekend tee-times and public holidays are regarded as weekends (golf clubs in Korea do not accept bookings on weekends). Each golfer must have a valid golf handicap. Cancellation and mendment fees apply. For detailed listing of the golf clubs and full terms and conditions, visit visa.com.sg/infinite. Book your next holiday at selected Pan Pacific and PARKROYAL hotels and resorts to enjoy exclusive privileges. 15% savings on Best Available Rate. 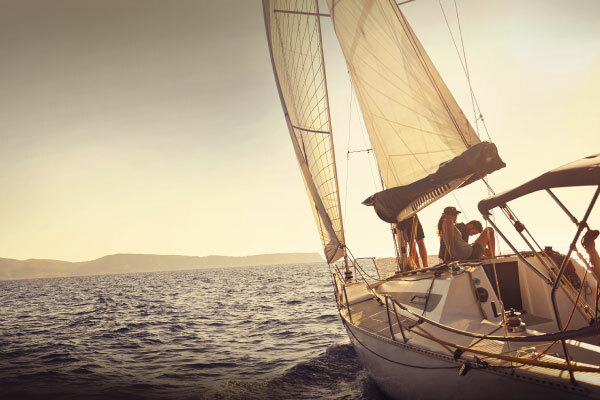 Pan Pacific DISCOVERY members enjoy additional 10% savings. Not a member? Join now for additional 10% savings! Valid till 29 February 2020. Valid for bookings and stays from 1 March 2019 to 29 February 2020. All reservations must be made in advance, prior to arrival and is subject to availability. Blackout dates apply. Reservations must be guaranteed with a valid UOB Visa Infinite Metal Card. The same Card must be presented upon check-in and at check-out for payment. Amendment and cancellation is subject to Hotel’s guarantee and cancellation policy. Offer cannot be used in conjunction with other promotions, partner offers and third party websites. Prevailing taxes and service charges apply. All information is correct at the time of publication. In the event of any inconsistency between the English and non-English language versions, the English language version shall prevail. Specially curated for your birthday, be treated to a deserving luxurious hotel spa offering a range of wellness treatments, including couples’ massage, set in a tranquil urban oasis. 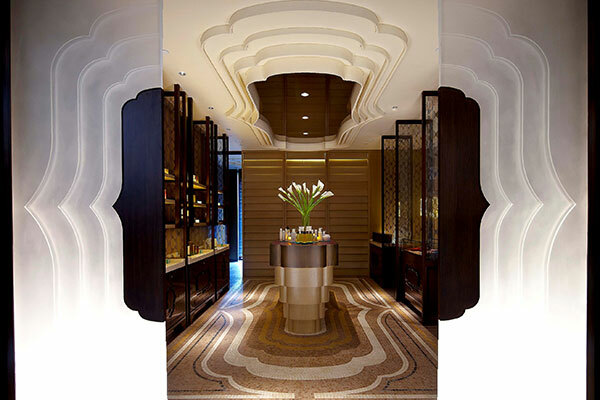 Enjoy the spa’s complimentary heat and water experience prior to the relaxing journey. Valid from 1 April 2019 to 31 December 2019 (both dates inclusive). Promotion cannot be used in conjunction with other promotions/ programs, special events or private group bookings. Reservation must be made in advance, subject to availability. Not exchangeable for cash/credit. All payments must be made with the UOB Visa Infinite Metal Card. The minimum age requirement for spa access is 18 years of age. 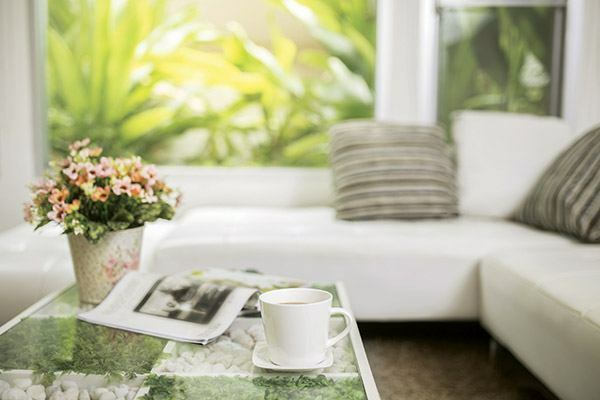 Indulge in the comfort of Shangri-La Hotel, Singapore with these exclusive privileges. For reservations at Valley Wing, please click here and enter promo code PUOBINF. Offer is not valid in conjunction with other offers, discounts, promotions, privileges and Golden Circle Redemption Points. Payment must be made with a UOB Visa Infinite Metal Card with promo code PUOBCC19 or PUOBINF depending on your choice of room category. Booking confirmation is subject to room availability. ID card must be presented upon check-in. Booking must be made online. Room discounts are strictly on Best Available Rate (flexible rates/custom stay). Not applicable for any promotion or advance purchase and applicable for a maximum of two (2) rooms. Spa discounts are strictly based on a la carte and not applicable to any other promotions. For full terms and conditions, please refer to the respective reservation links. Be rewarded when you make your dream purchases, invest in a golden opportunity or fund your everyday expenses like income or property tax. • A one-time administration fee on the approved amount will be charged. Get started by simply completing and returning the form or reaching out to your UOB Visa Infinite Concierge at 1800 253 2288. This Facility is available till 31 December 2019, unless otherwise stated. A one-time Administration Fee of 2.0% of the total Approved Amount will be charged to the UOB Visa Infinite Metal Card stated in the Form. The Administration Fee together with the Approved Amount must be within the available credit limit of the Cardmember’s Card at the time of approval of the Cardmember’s application for the Facility. If there is any incomplete / inaccurate information in the form and/or insufficient credit limit at point of application processing, UOB has the absolute discretion to reject the application. A Cardmember of a successful Facility application will be awarded with UNI$2.5 for every S$5 (equivalent to 1 air mile for every S$1) of the Approved Amount charged to the Card account. Full terms and conditions apply. Please click here to refer to the Form for details. Access amazing things and experiences on Keyyes, a luxury lifestyle club for the modern seeker. 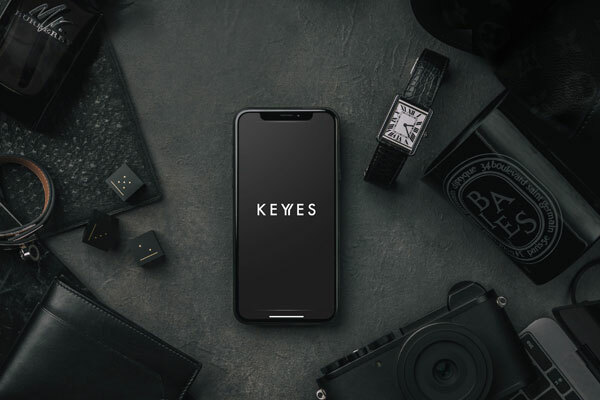 • Download the Keyyes app and create an account using referral code 51162673 to claim your exclusive Keyyes 180 membership and receive a complimentary welcome gift*. *Benefit is available to the principal UOB Visa Infinite Metal Cardmembers, limited to one free gift ("Welcome Gift") per Cardmember, subject to availability and whilst stocks last. The validity period of this offer is till 31 December 2019. 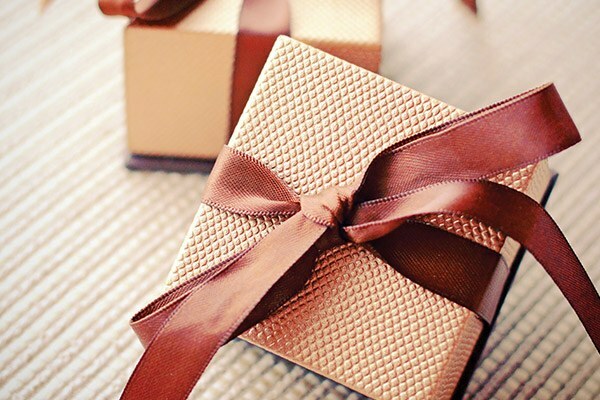 The Welcome Gift may be redeemed via the link above, which shall be received upon your successful download of and registration on the Keyyes App, available to new Keyyes members only. Cardmembers must register with the email address associated with their UOB account to qualify. The Cardmember needs to go into his/her profile on the ME tab within the Keyyes app and click Enquiries. Once inside the Enquiries-app-chat with the Keyyes Service Team, the Cardmember must quote “UOB Infinite welcome gift”. The Service Team will then confirm the Welcome Gift and add it to his/her BAG within the app where the Cardmember can select the delivery date and time. Welcome Gift may vary due to stock availability. For full set of terms and conditions, please visit keyyes.com/UOBinfinite for details. Other terms and conditions apply. The UOB Visa Infinite Metal Card comes with an annual membership fee of S$642 (inclusive of GST) and 25,000 welcome or renewal miles. You will receive the miles upon payment of your S$642 (inclusive of GST) joining or renewal fee. Sign up by 31 August 2018 and instead of 25,000 miles, receive a FREE TUMI V3 Luggage and Packing Cube worth S$1,010. No spend required, other terms and conditions apply. Apply now! The UOB Visa Infinite Metal Card comes with an annual membership fee of S$642 (inclusive of GST), which includes a package of UNI$12,500 (equivalent to 25,000 miles at UNI$1 = 2 air miles redemption rate, which the Cardmember needs to redeem himself/herself via UOB Rewards Programme. Terms and conditions apply, please visit uob.com.sg/rewards for details.). Upon your UOB Visa Infinite Metal Card anniversary date, a renewal fee of S$642 (inclusive of GST) will be charged and the UNI$12,500 will be credited to you two (2) months after your payment due date. This is only upon receipt of your full membership fee payment. Advance crediting of UNI$ is not permissible.